Although this is still a ways off I wanted to get the word out early. 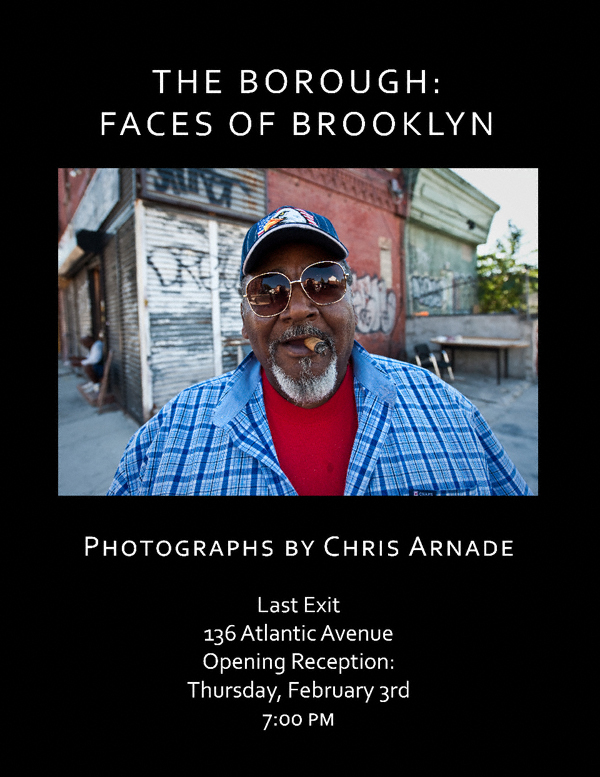 Chris Arnade, a very talented photographer; frequent photo pool contributor and all-around nice guy will be having a show of his work next month. Congratulations Chris! Check it out! Opening Reception: February 3, 2011 7:00 p.m. Looking forward to seeing this. Chris Arnade takes some stunning pictures.